Spring brings warmer weather and torrential rains that make your lawn grow and the world around you turn green. It’s an exciting time, but it’s also a time that creates challenges for your roof. As spring turns to summer, you’ll need to conduct proactive maintenance and repairs. Poor Ventilation: If your attic is not properly ventilated, it will collect heat and moisture during the summer. This will rot your roof and significantly shorten its usable life. Make sure that your attic features an effective ventilation system, and double check that nothing is blocking these vents. Poor Insulation: Like ventilation, insulation is important for a high-functioning roof year-round. Poor insulation not only drives up your heating and cooling bills, but the hot and cold air that you leak into your attic can create all sorts of issues for your roof. Damaged Shingles: The sun’s UV rays beat down on your roof during long summer days. These rays shorten the life of your roof’s shingles, drying them out and cracking or curling them. Some shingles may fall off the roof altogether. Clogged Drains: After a spring of heavy rain, your roof’s drainage system may be filled with debris. Make sure that gutters and drains are clear and working properly as summer begins, ensuring that your roof can effectively clear precipitation. Encroaching Limbs: Everything grows throughout spring and summer. Keep an eye on trees and limbs near your roof. If they grow to the point that they reach your roof, a limb blowing in the wind can knock away shingles or otherwise damage your roof. HomeStar Remodeling is your source for dependable roof maintenance, repairs, replacements and guidance. Get in touch if you have questions about summer roof maintenance or if you’d like help inspected your roof for warning signs. Contact HomeStar Remodeling today for roof service and advice. Attractiveness: Siding can make your home look fantastic. The right color and style of siding breathes new life into your home and provides enhanced curb appeal. Consider a color and style that complements your home’s existing palette and architecture. Energy-Efficiency: New siding is an opportunity to enhance your home’s insulation — especially if you own an older home. You may also consider a house wrap that protects your home from wind and precipitation. And the energy efficient siding itself helps to insulate your home. Protection: Siding is designed to take a beating. When harsh weather conditions strike, your siding will resist the wind, the rain, the snow and other elements. And for those with kids, siding also resists the impact of soccer balls and other projectiles. Rejuvenation: If the sides of your home are becoming worn and faded, new siding is a great way to achieve a fresh look. You won’t have to repaint, re-stain or power wash your existing façade — just add new siding and get the pop that you want out of your home. Savings: You’ll save money when you choose new siding. Not only is installation affordable, you’ll reduce your heating and cooling costs. There’s little maintenance, and siding is difficult to damage. Not sure if siding is right for your home? At HomeStar Remodeling, we work with homeowners just like you, delivering the guidance and services needed to keep their homes in peak condition. We can provide advice on siding or an estimate on what installation would cost at your home. Contact HomeStar Remodeling today about your siding options. Sagging: The primary indicator of an aging roof is sagging in the roof deck. Sagging creates valleys that become streams for drainage. This added drainage will only accelerate the aging process and your timeline for a replacement. Water Damage: Look carefully for signs of water damage or leaking. Water damage can be both unattractive and damaging to your roof over the long-term, and leaking is a breach of your roof’s protection that requires immediate attention. Light: If you’re considering a new roof, it’s important to take a look into your attic as well. If you can see light streaming in through your roof, you’ve discovered a telltale sign that it’s time for a replacement. Shingles: Age will show up in your shingles. Examine your roof carefully for shingles that have curled or cracked. A significant loss of shingle granules is another sign, as are shingles that are missing altogether. If you notice this type of damage in just one area, make repairs as needed. Time: Keep an eye out for signs your roof is aging, but look at the numbers, too. If your roof is 20 years old, it’s reached the upper limit of its usable life. HomeStar Remodeling is your roof expert in Delaware, South New Jersey and Pennsylvania. If you’re considering a new roof, we can help you make the best decision for you and your home. Contact us today for roof service, repair and replacement at your home. Clean Gutters: So much of your roof’s health is dependent on drainage. Rain, snow, ice and other precipitation must make its way off your shingles and down to the ground. If you fail to clean your gutters, precipitation and other roof-damaging debris can collect. Debris can also lead to icicles, whose weight can hurt your roof. 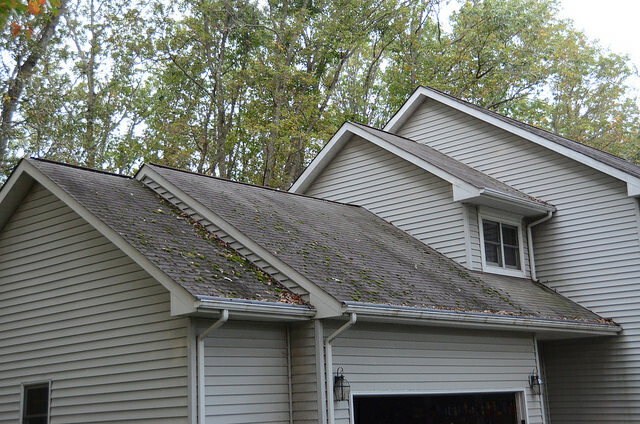 Remove Leaves: Leaves and other debris on your roof can also hurt drainage. Make sure that your roof is clear of leaves to reduce weight, too. Wet or frozen leaves block drainage, and they also create a burden that may exceed what your roof is designed to withstand. Prevent Dams: Ice dams form when heat from your home sneaks into your attic, melting the frozen precipitation on your roof. As this precipitation rolls down to the edge of your roof, it refreezes and creates a dam that builds up debris. Proper insulation and ventilation in your attic should prevent ice dams. Trim Trees: Branches swaying and scraping your roof can damage shingles and create leaky penetrations. By trimming back trees in the vicinity of your roof, you’re protecting your home from damage-causing branches. Ventilate and Insulate Attic: Prevent ice dams and mold-causing condensation when you properly ventilate and insulate your attic. Not only does this keep your roof in good shape, it also prevents dangerous odors and allergens. Regular service and maintenance on your home’s roof is essential: At HomeStar Remodeling, we provide services that will extend roof life. Contact us today for service at homes in Delaware, South New Jersey and Pennsylvania. Apply to windows and wipe. You’ll find that your windows look just as good as when you use grocery store options, and you’ll find that the cleaner smells just as good if you choose to incorporate essential oils. You’ll be using an environmentally friendly cleaning product, and you’ll be saving money. Best of all: You won’t have the aforementioned toxins hanging out underneath your kitchen and bathroom sinks. What could be better? 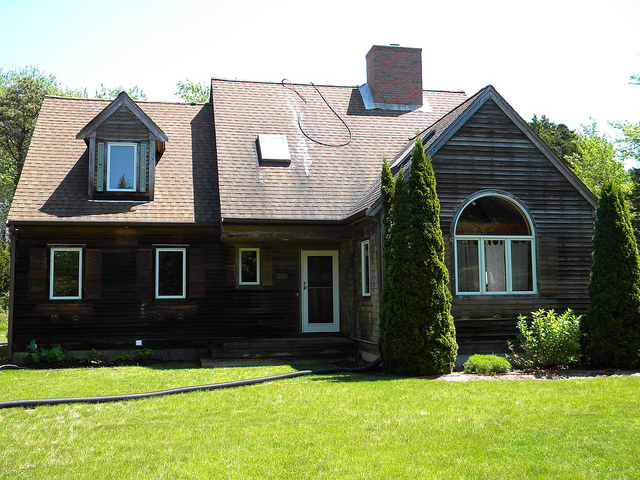 At HomeStar Remodeling, we know windows — how to care for them and how to replace them. If your windows have worn to the point of needing replacement, contact us about energy efficient windows for homes in Delaware, Pennsylvania and South New Jersey. Get in touch with HomeStar Remodeling about your window needs. Winter is nearly upon us, and for communities in our Delaware, South Jersey, and Pennsylvania service area, this means there’s a good chance there will be plenty of snow along with it. You may be tempted to leave snow on your roof, as it doesn’t seem to present an immediate risk to you or your family. However, this oversight can lead to several complications. If left untouched, mass amounts of snow on a roof can cause ice dams that can punch holes in your sheathing and put stress on your structural framing. This stress can cause your framing to warp and may lead to future issues. There’s an old saying: “work smarter, not harder.” This saying can easily be applied to roof snow removal. Instead of climbing up on top of your house to push heavy, wet snow off your roof, consider purchasing a snow rake that will allow you to perform the task from the safety of the ground if the height of your house permits it. Snow rakes use telescoping rods attached to large scooping implements that you can use to slowly clear snow off your roof in a safe and easy manner. For the do-it-yourselfers out there, there’s the option of making a “roof sock” to help melt snow and ice on your roof during harsh winters. This quick, easy solution involves pouring rock salt into cut-open stockings, tying off the filled stockings, and placing the stockings a few feet apart on your roof to create passageways through which melted snow and ice can flow off your roof. If the DIY methods aren’t effective or if you aren’t able to access your roof, it may be time to hire a professional to clear snow off your roof safely. Though this may come at a higher cost than roof socks or snow rakes, there are several options that will help you prevent snow buildup on your roof — which may end up saving you money long-term. First, consider having a professional install heating cables. These coils attach to your roof and can help melt snow and ice, and may even help prevent them from building up in the first place. Though it may be tempting to put them up yourself, improper installation can cause ineffective snow removal and prevention. As far as ventilation is concerned, a new ridge vent, shingle system or soffit vents can help improve airflow throughout your attic and ensure heat flow is constant throughout. Talk to your roofer about which materials and price point would work best for your home. You may be looking to simply remove snow and ice from your roof and don’t have the time or money to invest in preventive measures. There are many roofing professionals who are happy to take on the job and will use a variety of methods to make sure your roof is clear of ice and snow. Save yourself the hassle and danger of climbing on your roof, and leave it to a team of trained experts who will ensure your home is safe from winter weather damage. If you’re interested in learning more about how to prevent ice and snow buildup on your roof this winter, or you’re interested in learning more about our roofing services, contact HomeStar Remodeling today. As experts with years of experience in roofing and exterior remodeling, we’ll be happy to discuss what you can do to protect your home against ice and snow damage.